It's the most wonderful time of the year! No Christmas holiday season is complete without a Christmas Coloring and Activity Book. 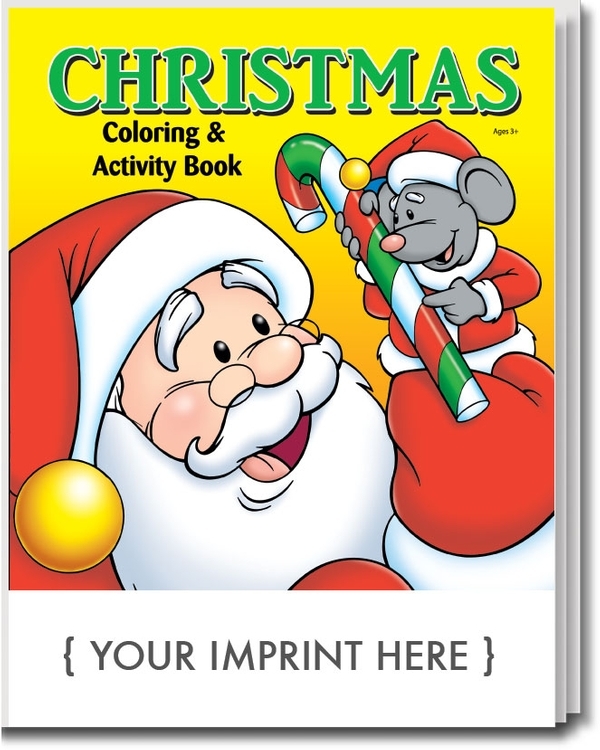 Featuring a full color cover and 16 joyous pages of holiday fun, including writing a letter to Santa and coloring toys. Recommended for children ages 3 and up. Ideal for all holiday-themed business endeavors - sure to make your holiday promotion a success. Don't Forget the Crayons! Make it Easy -- Make it a Fun Pack: any coloring book or activity pad conveniently packaged with a 4-pack of crayons in a sealed poly bag. No assembly required. Price includes a one color imprint in standard imprint color. Imprint area: 7" X 1.75"